The winter of 2017 will be remembered for one major metrological reason in Ireland and that is the arrival of Storm Ophelia. The worst storm to hit Irish shores in nearly 60 years, Ophelia caused untold damage and very sadly caused the loss of three lives. It also led to a decision by the Department of Education and Skills to close primary and secondary schools for two days on health and safety grounds. While communicating this news on a national scale was done via the media, giving parents and guardians school specific details on closures was undoubtedly a challenge. At Komeer we were delighted to be in a position to provide parents who use the Komeer app, with regular updates in relation to the situation regarding their child’ school. The secure two-way messaging offered by Komeer ensured that schools knew that parents had received any updates they sent. This year, Komeer has sent over 1 million alerts for Schools including 50,000 to parents throughout the country during storm Ophelia. 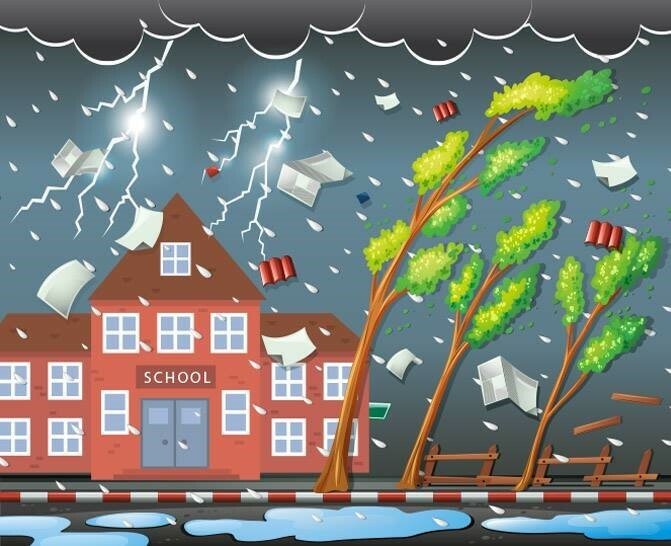 While extreme weather events like storm Ophelia are rare in Ireland, schools can never tell when they will need to communicate with parents in relation to events that affect the running of the school. Komeer offers schools a safe and secure and fast way of communicating with parents. We have recently launched a new update to Komeer that means that Komeer is now FREE to schools as well as parents! Schools currently using Komeer report saving â‚¬5,000 a year on their communications as a result of signing up to Komeer. More and more schools and parents throughout Ireland are using Komeer to communicate. Contact us to find out how you can become part of the conversation!